I thought things would be winding down by now; in the hot dry stretch we went through in late June, new spears were rare. After some substantial summer thunderstorm soakings over the last couple of weeks, the bed has come out of dormancy. The quality seems to have improved as well; the July spears are superior to the June spears you can see in this picture. They are the spindly fully developed ones out of the same crown. 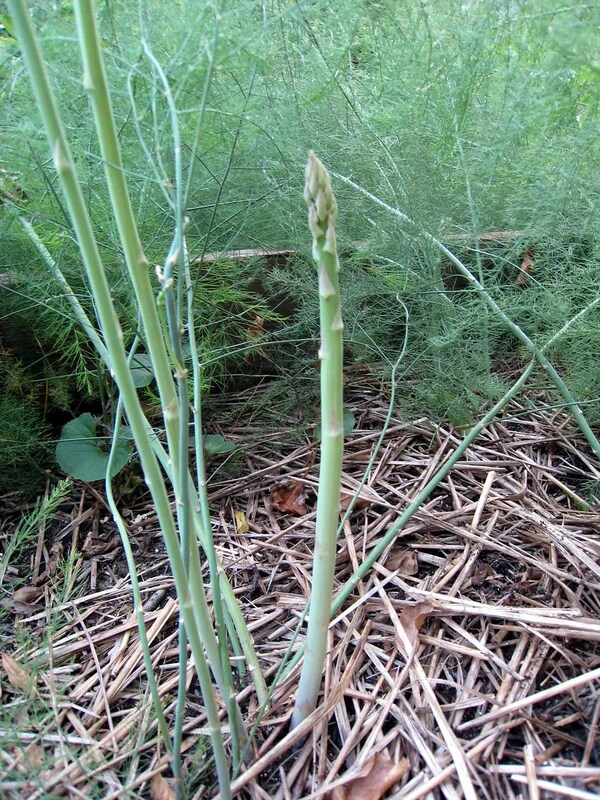 Note to self: watering is important to first year asparagus beds.